Best and worst stairlift brands revealed by Which? Which? has surveyed stairlift owners to find out which of the big stairlift brands is best, and the results are now in. We asked 530 people, all of whom had got their stairlifts in the last 10 years, to rate their stairlift on factors such as value for money, quality, reliability and comfort. Acorn, Handicare and Stannah stairlifts were the most commonly owned brands in our survey, but how did they compare? Find out in our stairlift brands review. 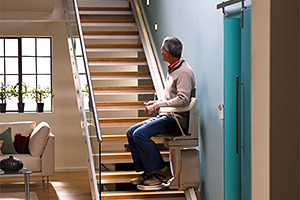 The survey respondents who’d bought brand-new stairlifts paid an average of £2,371. The price paid for each brand varied though, so you’ll need to check out our stairlift brands overview to find out whether Acorn, Handicare or Stannah was cheapest – and whether price reflected quality. If you’re on a tighter budget, you might want to consider buying a second-hand or reconditioned stairlift. Around a quarter of the people we surveyed had done this, paying £1,490 on average – again depending on the stairlift brand. It’s worth noting that prices can be much higher if you need a curved stairlift, have especially long stairs or require additional features. You can learn more about everything from stairlift types to financial assistance in our guide to buying a stairlift. The stairlift market can seem more complicated than it really is. For example, Acorn sells as both Acorn and Brooks (it used to sell as Bison Bede too), and Handicare (formerly Freelift) now owns Companion and Minivator. Stannah only sells as Stannah. Which coffee pod brands are the most eco friendly?